Pre-wired 2 gang 13A. BS1363-2. 3 metre cable with prepared wires for plug. Easy to wire non latched type RCD. Suitable for permanent or temporary installation. BG IP66 Outdoor Power Kit 2 Gang Switched is rated 4.7 out of 5 by 29. 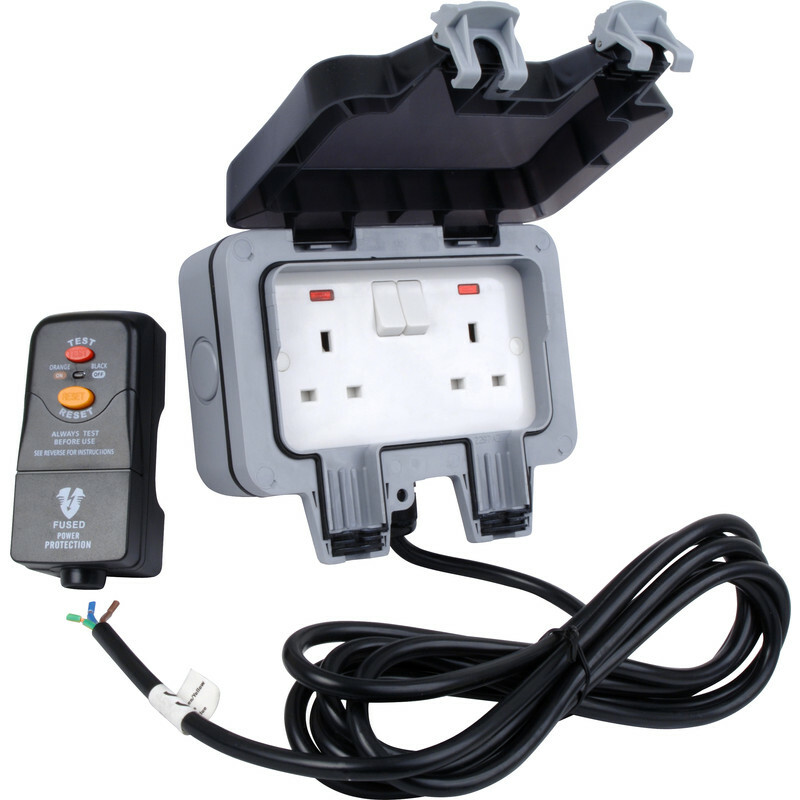 Rated 4 out of 5 by Ringingstone from Good value I wanted an outside power source for my new pond and this provided a very inexpensive solution. Easy to fit and install but, as other reviewers have said, it is better to screw it directly to the wall rather than rely on the slightly wobbly brackets. Seems to be working well but only time will tell. Rated 3 out of 5 by Anonymous from Just OK Having fitted this it's working fine, but the negative terminal of the supposedly pre-wired socket was completely loose inside. The terminal screw had never been tightened. Also the other end of the cable the lengths of the pre-stripped cables are not suitable lengths for the plug/RCD. Rated 4 out of 5 by The Snowman from Easy to install Great piece of kit, easy to install , just the clasps are quite difficult to operate when sealing and opening the water proof cover. Rated 5 out of 5 by Grate from BGIP66 Sturdy, well-made item with clear instructions. Easily fitted in an hour. Rated 5 out of 5 by Freddy BB from Outside Power Supply. I needed an outside power supply and bought this item following some research on "You Tube". Installation was a simple process and I just had to follow the instructions. Great purchase, just what I wanted.